Located in the heart of the Marais district, Espace des Blancs Manteaux hosts exhibitions, concerts and temporary events in an old Parisian covered market built in 1813. 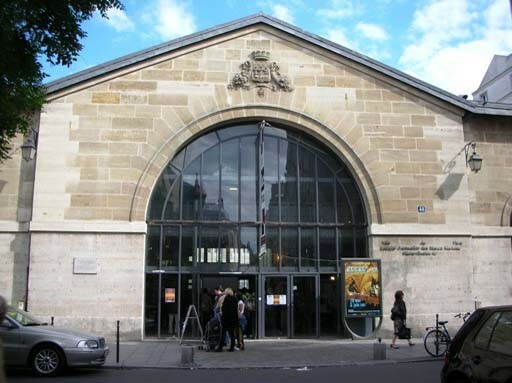 It is an exceptional multipurpose room, belonging to the the City of Paris, that can accommodate more than 1000 people, in the 4th arrondissement. Its facilities are used by schools or associations for sports activities, but also for events of local interest of a cultural, social, commercial, professional or political nature. Created over more than thirty years ago, the Espace des Blancs Manteaux offers, throughout the year, numerous fun activities such as drawing, painting and modeling workshops, theater, dance, martial arts, And other team sports. The space also received numerous exhibitions such as Vintage, Photo, Digital Art, Book and Contemporary Art and Art Creators. It was therefore perfectly qualified to host our exhibition of Visual Arts, and thus give our artists from all over the world, great visibility to celebrate the values of Gay Games 10!